Maybe vampire fables are just metaphors for bad ideas that are hard to kill. The proposed Deep Geological Repository for radioactive waste being considered by Canada’s Joint Review Panel is such a bad idea that even pro-nuclear Republican US senators like Illinois’ Mark Kirk are against it. Still, it’s not dead yet. The language is from a Michigan state senate resolution against the dump which passed last year. Now the US Senate has taken up the fight in a similar bill introduced by Sen. Carl Levin, D-Mich., and co-sponsored by Sens. Debbie Stabenow, D-Mich., Kirk, and Tammy Baldwin, D-Wis. Dozens of cities along the Great Lakes, Duluth included, have formally opposed the craziness of burying leaky tins of radiation in a watershed that serves H2O to 40 million people. Dave Herndon, writing for the News-Herald reported this zinger. The Canadian government itself expressed identical complaints about radioactive waste in the 1980s. Back then, when the Energy Department surveyed sites for a waste dump in the US, Canada explicitly protested. Canada’s resolution urges US officials to prevent such a dump from being built within the Great Lakes Basin. Ontario’s Joint Review Panel will make a recommendation to the federal government after studying the pros and cons. It has held two sets of formal hearings, and plenty of highly critical testimony is in the record. Not the least is that of former Ontario Power Generation scientist Frank Greening. OPG is the radioactive waste producer promoting the dump, and Greening worked for the company for 22 years. A PhD in chemistry, Greening testified this past September that OPG has adopted a “cavalier attitude” toward the long-lived hazards of radioactive wastes. As evidence of his attack on OPG’s proposal, Dr. Greening noted that the company estimated what radioactive materials, and in what proportions, would be in the waste — instead of taking samples. “Estimating is cheaper,” Greening told the panel on Sept. 10. “OPG has chosen to skimp on the costs of properly characterizing these piles of radioactive waste, perhaps because the analysis of just one sample costs over a thousand dollars,” Greening said. After Greening pointed out OPG’s gross mistakes, OPG said that errors resulted from its use of “available data” in 2010. 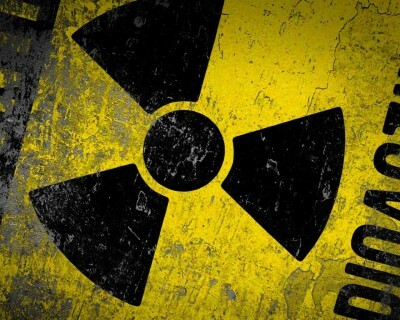 Last April, Greening reported that materials to be placed in dump are hundreds of times more radioactive than the company reported to the panel. Greening’s report devastated the company’s (OPG’s) shoddy analysis. “You got these numbers wrong up front for when you put these materials in the ground,” he said. “Perhaps your numbers can’t be trusted on what happens if any of this is released back aboveground. Why would I trust your numbers now?” With one type of radioactive material, cesium-137, OPG’s numbers “are 1,000 times lower” than the actual radioactivity level, Greening said. Of course if the vampire has friends in high places, even well placed wooden stakes, holy water and crucifixes will miss their mark. Replying to Greening’s crucial testimony, JRP Chair Stella Swanson warned that some of the material he presented was “new to the panel,” and as such contrary to its rules. Information was supposed to be given to the JRP in advance of the formal hearing. Swanson said the panel will rule later on whether all Greening’s information would be accepted.